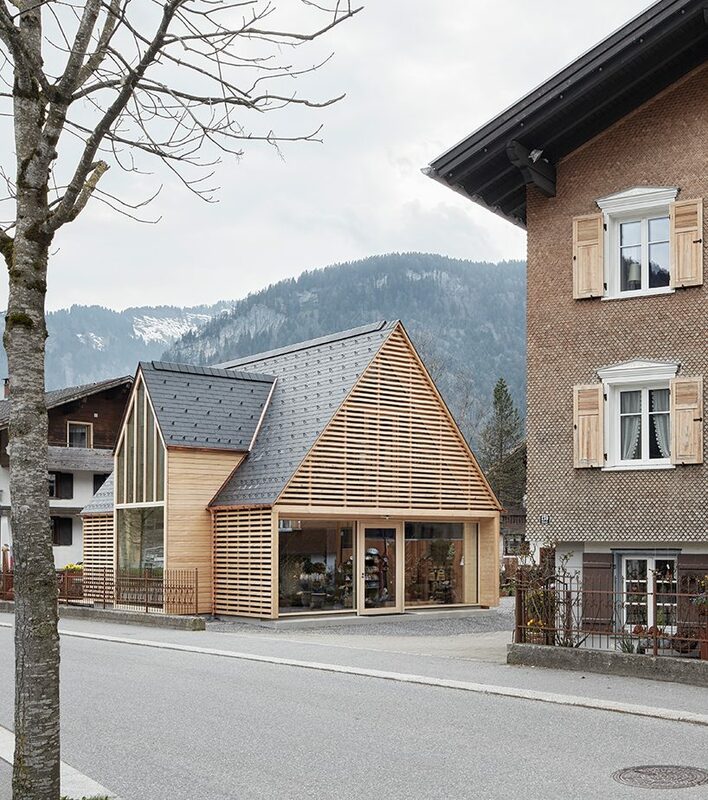 architecture in austria surveys the contemporary condition of the country’s built environment, showcasing a range of innovative projects and the diverse materials and unconventional forms employed in their construction. 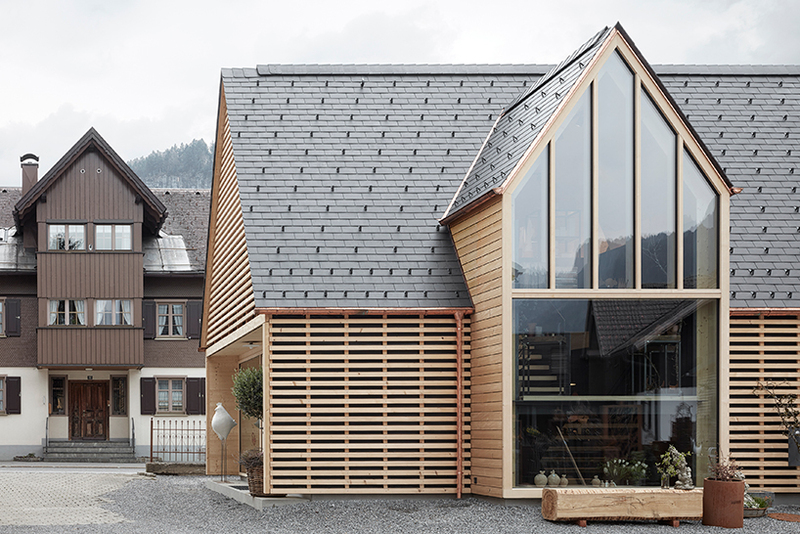 innauer matt architekten is an austria-based architecture firm heavily influenced by the landscape and buildings of its home country. 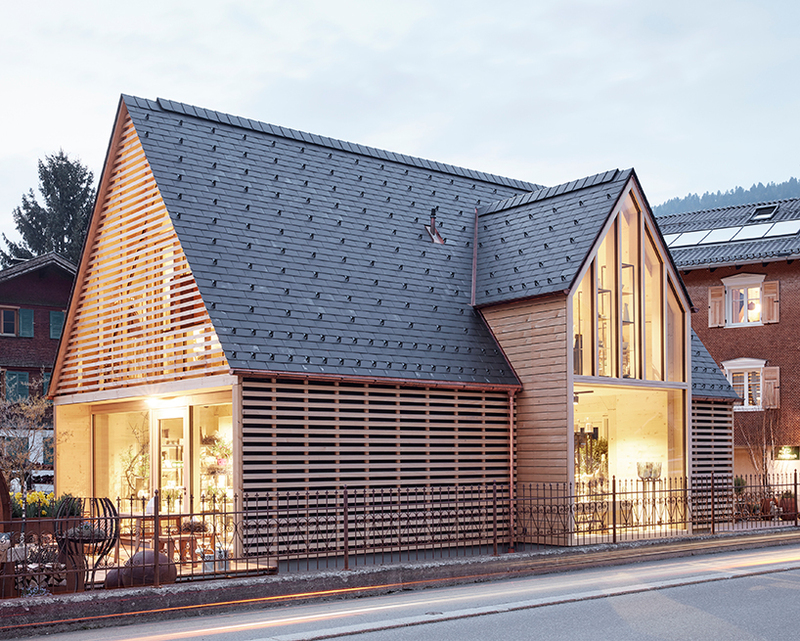 innauer matt architekten has finished ‘strubobuob’, an extension to a gardening shop in the village of bezau, austria. 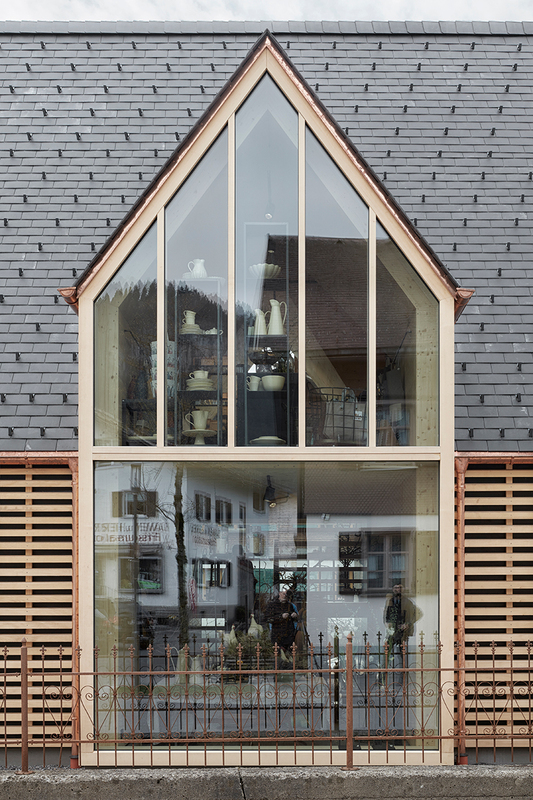 the timber building brings together the two shops that were once located separately; one for gardening, the other for the home. 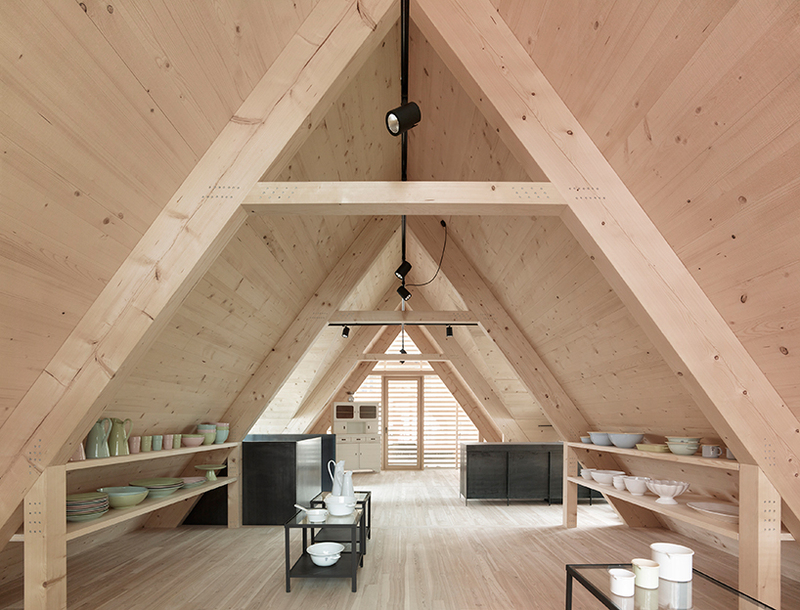 the shed-like appearance is emphasised by the steeply-pitched roof, while inside a showroom layout has been applied to invoke a sense of being at home. entry is pinpointed by a covered entrance area with wide shop windows that leads into the shop. gardening tools and decor are sold on the ground floor while home- and tableware have found a new home in the attic. 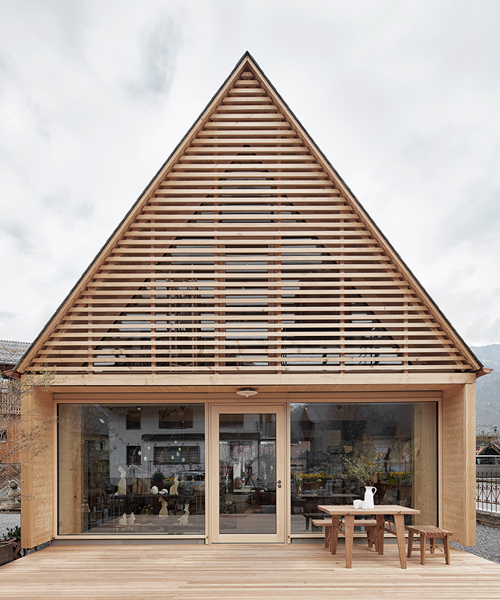 two-storey gables on both long sides of the house, a reference to surrounding buildings in the village, create a functional and exciting cross-shaped layout on the inside and a distinctive character on the outside. 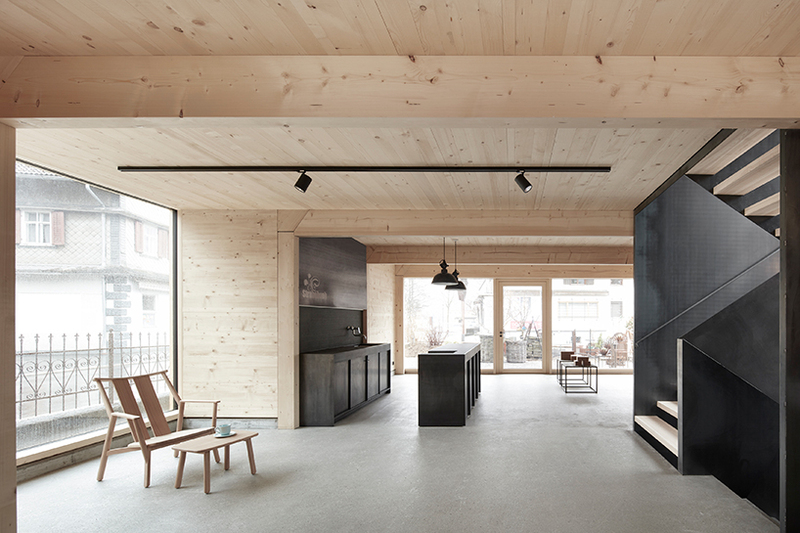 raw surfaces expressed in wood was the material chosen and used by innauer matt architekten in creating the interior space of the new extension. 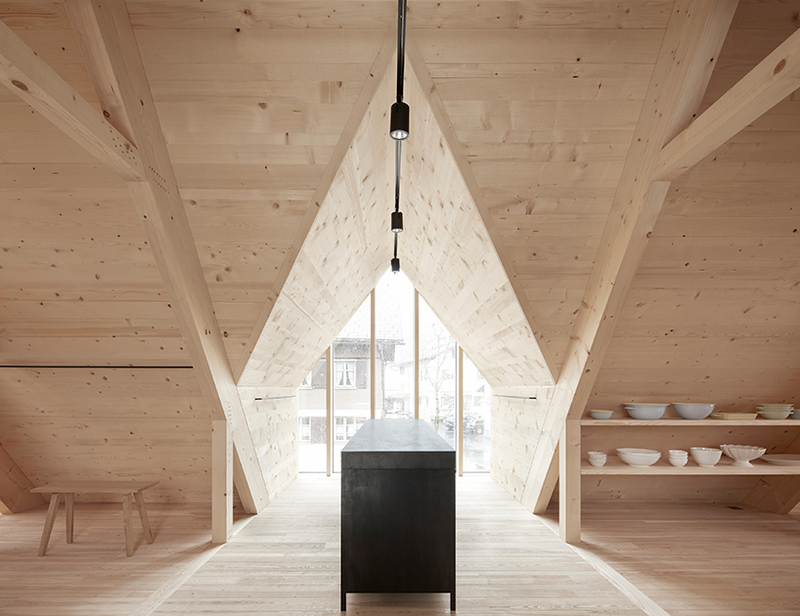 an exposed solid wood construction and simple details showcase the craftsmanship of local builders. the few selected fixtures and the central staircase are made in black steel and take a back seat to the goods on offer. 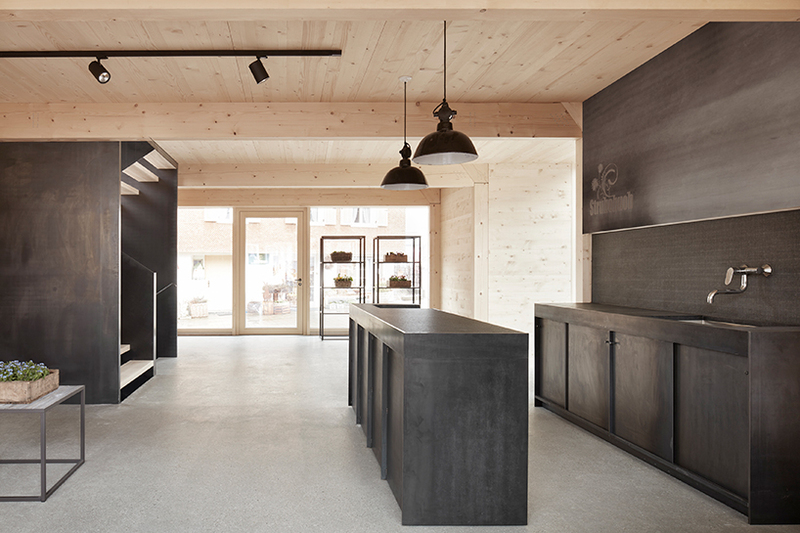 a solid spruce facade and solid fir on the inside walls were used, while polished concrete floors with integrated heating and floorboards in ash wood provide a simple, yet striking space and refer to the building’s origins as a workshop. the same idea is represented in the building’s supporting structure. the pre-fabricated timber-frame construction is complemented by non-bearing insulated, foil-free elements in solid wood. 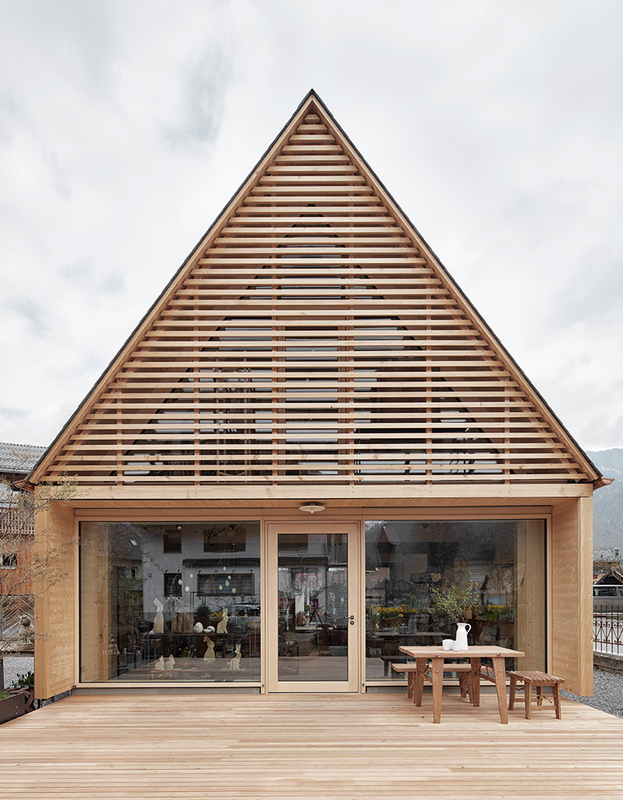 all exterior walls and the building’s bearing construction are made from solid wood. disruption to the shop’s business hours were minimized by the decision to use pre-fabricated techniques. a high degree of prefabrication allowed for shorter assembly periods and as the construction site was very close to the carpentry, the upper floor were prefabricated in its entirety and installed on-site with a mobile crane. the upper floor was prefabricated in its entirety and installed on-site with a mobile crane.